Undeniably the most popular pet-fish of all time, goldfish have been manipulated into many novel varieties and kept in ponds, bowls and aquariums for hundreds of years. However, this most venerable of captive aquatic denizens way too often meets an untimely (short) end, mainly as a consequence of poor environment. Indeed, goldfish can be kept for twenty or more years if provided with adequate space and husbandry. Here I'll describe all the basics of what a good to best set-up comprises for these "man-made" fish. All sports or varieties (they are all the same species) of goldfish attain large size, several inches and ounces for lionheads, Ryukins, bubble-eyes'¦ and comets of a foot length are not uncommon. And all types of goldfish need large volumes (not bowls or tiny tanks) to live quality lives. Among other considerations concerning bigger size systems is dilution of wastes, constancy of temperature (which fluctuates too much in small volumes), provision of surface area for gas distribution, and "room to move". Akin to years ago public zoo practices of too-small enclosures for mammals and birds on display, having more versus less room for your goldfish gives more "room for error" in overfeeding, power outages, other water quality anomalies, ensuring longer, healthier lives for your fish. Even small specimens (1/2-1" length) of goldfish should be provided with a few gallons per individual. Larger to adult goldfish require a good ten to twenty gallons each to prosper. Tanks or other containers that house goldfish are better shallow/flat and wide than tall and narrow for two sets of reasons. Greater surface area allows for more ready gas diffusion (carbon dioxide out and oxygen in), and shallower depths accommodate these fish's slow movements to the surface and bottom for feeding. In pond settings, rounded corners versus oblique angles are preferential to discount the occasional scraping or even jumping out from these animals getting "stuck in the corner". Unless you have live plants (see below) the use of purposeful lighting for your goldfish system is a matter only of your aesthetic appreciation. That is, the amount, kinds and duration of lighting of their tanks is for your utility, not theirs. But humans being "visually oriented organisms" and goldfish being gorgeously colored and amusingly shaped, you will very likely want to have some aquarium lighting. I suggest some sort of full-spectrum (not cool white) fluorescent here, either normal output (NO), very high output (VHO), or compact fluorescent (sometimes called power compact). The lamps and fixtures for this lighting can be acquired through fish stores, online specialty retailers, and often from large hardware chains. Bear in mind that these lamps have an effective life span, and that even though they may "light"; the lamps undergo "lumen depreciation" (they get dimmer) and spectral drift (they tend to lose the warm end of lighting) over several months use. The lamps packaging will describe the effective use time and it's suggested that you mark down the inception date on the lamps (with a grease or marker pen) and mark in your date book about when they should be replaced. Goldfish are creatures of habit, and if you are going to use your lights regularly, do get a simple timer to cycle them on/off. The occasional manual turning on of lights to show friends and families your collection is fine outside this cycle, but having some light on outside the system before and after this time is a good idea. Asked to provide five words to describe what goldfish are'¦ likely the most frequent response would be "dirty". They are toothless carps'¦ minnows that don't have teeth on their jaws, but instead bear pharyngeal teeth that aid them in grinding lower nutritional value algae and plant material (and whatever else they can find) of copious quantity into an equal amount of waste material. They are big defecators. Unfortunately, for such mess-makers goldfish are sensitive to their own waste accumulation. They easily suffer for ammonia and nitrite accumulations (likely the number source of their deaths), and even nitrates should be kept to a minimum (a few tens of parts per million) to optimize their health. How you accomplish clean water is in a word filtration. Coupled with aeration and circulation wastes are readily removed and/or processed/converted to less noxious materials. There are a few techniques for filtering aquarium water that are inappropriate for goldfish. Undergravel or sub-gravel filters, wet-dry or trickle filters and fluidized bed filters should be avoided as these devices drive nitrification to such a degree that oxygen levels are lowered and alkalinity exhausted too readily for these type of fish. Instead, particulate filters like the tried and true box kinds and less obvious inside and outside (hang-on) power filters should be employed. These incorporate mechanical media (pads or Dacron "wool" that trap particles, and an area for using chemical filtrants (usually activated carbon). For even the smallest of practical systems there are silent hang-on power filters with easy-to-change filter cartridges. For very under-crowded systems, your box and/or power filter may provide more than necessary aeration and circulation, but for safety's sake it's best to provide a bit of redundancy here and add either a mechanical aerator ("bubbler") powered by an air pump, airline tubing, check-valve (to prevent back siphoning in the event of power outage or pump failure). Very large systems may be better served with the use of powerheads or small submersible pumps. It's best to "aim" these toward the middle front of the tank from opposing corners to assure maximum, total circulation in general. Be sure to secure their intake screens as goldfish can sometimes get "sucked up against" these ports. If you find your fishes often near the surface gasping, your first thought should be that something is amiss'¦ perhaps water quality wise, but maybe even just simple gas diffusion is restricted'¦ Did you overfeed? Is there a "slick" of material coating the surface of the water (common in modern homes from aerosols, cooking'¦)? This last can be remedied by wicking a clean, unscented, plain/white paper-towel across the surface or dipping a pitcher into the tank'¦ if you check water quality and this is fine, and there is no surface scum, be looking to a lack of aeration/circulation as the culprit, and add some or remove some of the livestock. Warm days, when metabolism is elevated and gas solubility lessened are especially telling here. Goldfish are relatively tolerant toward ranges and rates of change in water chemistry'¦ and they should be after putting up with the "unnatural selection" of human breeding these last few hundred years! The species can live in water with a pH somewhere between 6.0 and 8.0 and low to medium hardness (a dH of 5-19), but I encourage you to aim for water that is slightly alkaline and a bit on the higher end of hardness. This starting water quality will help you to maintain your water at about the right level, as we've previously seen how "dirty" these fish are and their presence tends to drive water down in both these areas. If your tap/source water were already sufficiently hard and alkaline, I would just use it w/o further treatment (other than perhaps to administer a chemical to remove sanitizer). Should you live in an area where the water is much lower in pH than the lower 7's or deficient in hardness, you can buy a preparation for buffering it, or simply mix in a few teaspoons per ten gallons of baking soda (sodium bicarbonate) before using it. How can you tell what your water quality is? This is done through simple testing with colorimetric assays (test kits using color standards for comparison against standards). It is suggested that you buy and familiarize yourself with a simple set of these kits or a "master set" that includes the three aspects of nitrogen cycling (ammonia, nitrite and nitrate) as well as pH and hardness. For most folks, once they "get into a routine" of regular maintenance, this testing becomes superfluous, but having the test kits on hand if troubles arise will gain you valuable insights as to what is going on with your water. Goldfish are simple creatures, but not ones without inherent curiosity and playful nature. They do best in settings where there is physical break-up of their environment, with gravel to pick up and mouth, aquascaping to explore and chase each other around. Bare tanks'¦ are boring for you and them. Some aquarists opt to leave substrates out of goldfish systems, thinking it makes it easier to see and clean the tank, but gravel can and does do a great deal for their systems, functionally and aesthetically. Having some (an inch or so) of rounded natural gravel (versus epoxy-coated colored, or sharp silica) can greatly aid you in maintaining proper water chemistry, as this sort of material will slowly dissolve in the presence of fish waste and declining pH, buffering the water. Additionally the gravel helps support burgeoning populations of beneficial microbes that convert fish wastes to less noxious chemicals. The rest of your aquatic layout can be made up of driftwood, rock, petrified wood and live or plastic plants. Do take care to prevent placing sharp objects (rocks, glass'¦) that may impale your hapless goldfish, and seashells or other matter that may be toxic to them. 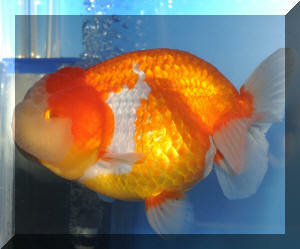 Geodes and other exotic minerals have been the death of many a goldfish. Won't the goldfish eat the plants if you put them in their tank? Likely yes. There are some varieties of live plants (Myriophyllum aka Parrot Feather or milfoil, Hornwort/Ceratophyllum'¦) that are evidently distasteful to goldfish, but I encourage you to place at least some cool water plant in with them for their benefit. My favorite choice here is Elodea (Egeria), often sold as "Anacharis", which can be rooted by weighting it down or left floating below the surface. Having this bit of renewable resource will aid your fishes health through nutrition, exercise, and help you keep your water clean and stable. Once you understand the basics of proper set-up, and execute against that working knowledge, all that remains to carefree enjoyment of your goldfish and their system is a routine of regular maintenance. Once again, having done what is prudent to arrange your goldfish tank, and having a few tools on hand, there is not much time or effort involved in keeping this "little world" up and going. Twice daily feedings, and part of an hour a week is what most set-ups require, with time for checking all mechanicals and electrical connections, cleaning filters, wiping down the viewing panels inside and out, and making a water change. Water changes for most systems involve the use of a gravel vacuum (basically a siphon with an exploded/enlarged end for stirring gravel) while removing a portion (ten-twenty percent) of system water and detritus, and refilling the tank with new water. If your water is "way out of whack" chemically, it may be necessary to pre-treat and store it ahead of use, but most people find that new water from the tap (perhaps treated with a dechloraminator) is fine just re-added. It's best if this new water is about the same, or even a bit warmer than the water just removed. By granting your goldfish adequate space of appropriate shape, simple consideration of water filtering aspects, proper water quality'¦ perhaps decorations, gravel, some live plant material'¦ and regular maintenance you will be assured a long-term healthy relationship with your goldfish. Yes, they are worth it. Johnson, Erik L. & Richard E. Hess. 2001. Fancy Goldfish. A Complete Guide to Care and Collecting. Weatherhill, NY, Tokyo. 174pp.